Regardless of how much storage space you require, Gilmorton Storage have a huge number of storage units in Nuneaton available for hire. Our hire is always available on flexible contracts so you never have to hire for longer than necessary. With storage units also available at competitive rates, our storage hire will fit within your budget. There is an extensive range of storage units available with a number of sizes to choose from. We will advise you on the best option for your requirements, whether you need storage units in Nuneaton for personal or business use. You can also choose to hire multiple storage units and containers if you have a large number of items that require storage. At Gilmorton Storage, we have both storage units and containers available for hire, with every option offering the highest level of security. There is also a wide selection of sizes available, allowing us to meet the demands for clients with larger items being stored, as well as those who require minor storage for just a short period of time. Our storage units in Nuneaton are always kept in great condition for every client, ensuring you are satisfied with the environment for your items. Our storage units range from 600 square ft to 2,500 square ft, with our storage containers ranging from 20 ft to 40 ft. Our storage containers are suitable for storing vehicles such as cars, vans and small boats, making it ideal for any client. With all storage units and containers being very secure, you should have peace of mind over all items you choose to store with us, as they are never at risk of their condition being altered or damaged. To make sure all belongings are safe. We have a number of security features in place. This includes a single point of access, high-level lighting, CCTV and a warden and guard dog across the site. Our state-of-the-art CCTV ensures there is 24 hour CCTV for our clients and any issues or security threats can be spotted immediately to keep our site as secure as possible. Our site is also fully fenced around the perimeter, giving only you access to our storage facilities. Storage units will be kept dry at all times and we can advise you on the different sizes so you have a good understanding of what items will fit within the storage units. Both short and long-term contracts are available for all storage units, allowing you to hire for as long as you require, as well as giving you the freedom to use storage space for whatever you require. 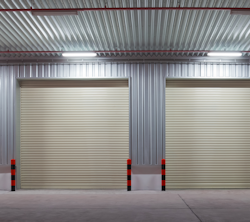 Our storage units are all in great condition and have the same high level of security for every size, assuring all clients of the safety of your belongings. 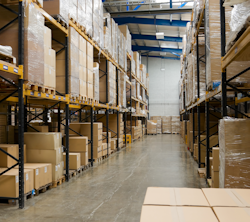 Storage units and storage space are a fantastic option for all businesses and individuals, giving you a huge amount of space for very competitive prices. Nuneaton is a large town located in the county of Warwickshire in England. With a population of over 86,000 people, it is actually the largest town in the county of Warwickshire. Nuneaton is a town our team are located very close to, making us an ideal choice for all clients in Nuneaton who require storage units quickly that are also easily accessible. Nuneaton is also located close to the A5, M1 and M6, which is just a short drive from our storage site. Being the largest town in Warwickshire, Nuneaton is home to many landmarks and attractions. The most famous points of interest include Riversley Park, Hartshill Hayes Country Park, Nuneaton Museum & Art Gallery, Arbury Hall and Hoar Park Craft Village & Children’s Farm. There are many other places to visit that make Nuneaton a popular area for both locals and visitors. Gilmorton Storage offer the perfect storage units in Nuneaton and can always find suitable storage space for all clients located here. Since being established, we have always been available in Nuneaton and aim to be the first choice in this area for all storage needs, offering a personal and quick service. Gilmorton Storage offer extremely competitive prices for all our storage units in Nuneaton and the workshop space that we have available. With flexible long term and short term contracts available, you can hire for as long as necessary. Our aim is to deliver a personal and affordable service, ensuring all clients can hire extra storage space without going over your budget. Since being established, we have built a fantastic reputation and client base and aim to continue growing this to give all clients the best storage facilities possible. With high-level security at our site and being a family run business, you should have peace of mind over all items you choose to store with Gilmorton Storage. 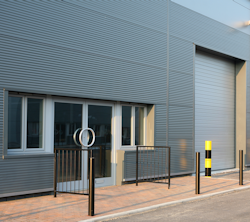 If you would like to hire storage units in Nuneaton, do not hesitate to contact Gilmorton Storage today. We can always provide a quick response to discuss the units and containers available, finding the best option for every individual’s needs. 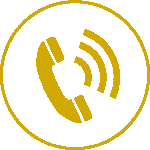 Call us now on 01455 209 209 or 07815 013 883 or fill in our contact form to make an enquiry.